I was a new teacher when I pulled Night off a bookshelf in my classroom. It’s Elie Wiesel’s account of his concentration camp experiences as a teenager during the Holocaust. When I’d finished, it took me three days to feel normal again. Years later, I had to read the book again in preparation for a grad level course in Holocaust Literature–a class I had accidentally signed into. After all, who would sign up for Holocaust Literature on purpose? Holocaust Literature would be depressing. By the time I realized what I’d done, it was too late. The only other class that would fit my degree would have been filled by then. So I bought my own copy of Night and girded my heart. The professor said the book would prepare us for the class. It did. The teacher was a Jewish woman. Her mother had survived Auschwitz. All she taught became so real. We read The Diary of Dawid Sierakowiak. Like Wiesel, Dawid was a Jewish teen. But he never had the chance to record his concentration camp experiences. His account comes from the Lodz Ghetto. As in Warsaw, the Jews of Lodz were isolated and deprived of basic human sanitation and decent food. Dawid told us of the deportation of all children under the age of ten. I had my five children in a span of nine and a half years. In a different time and place, such an order would have swept away all my children in a single day. Dawid missed being allowed to go to school. He yearned to learn, to progress in life, to grow up. He was hungry. Very hungry. I thought of my own sons when they were young teens, how hungry they could get, how much food they could consume. We also read Charlotte Delbo’s Auschwitz and After. She was not Jewish, jailed for being part of the French Resistance. She described the “unimaginable elsewhere” in vivid terms. She related why, as others like Wiesel also knew, that it’s hard to come back from such a place and time. But what I learned best from a class I did not want to take was that we must go to such places–in our minds through written accounts–and we must come back. 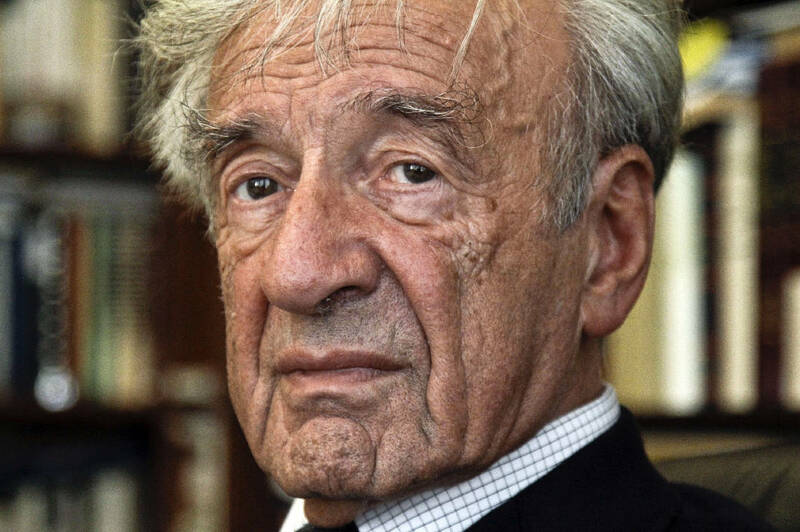 And as Wiesel spent his life, we must proclaim the reality of horror, show it to others, do all we can to end it, do all we can to prevent it from happening again. Culture doesn’t prevent Holocausts. The Nazi Holocaust was horrible. But there have been others. Others continue today. We must visit and tell. That is what separates us from the cultured people who carry them out and those who remain silent and let them continue. Photo Credit. Times Free Press, AP Photo/Bebeto Matthews.